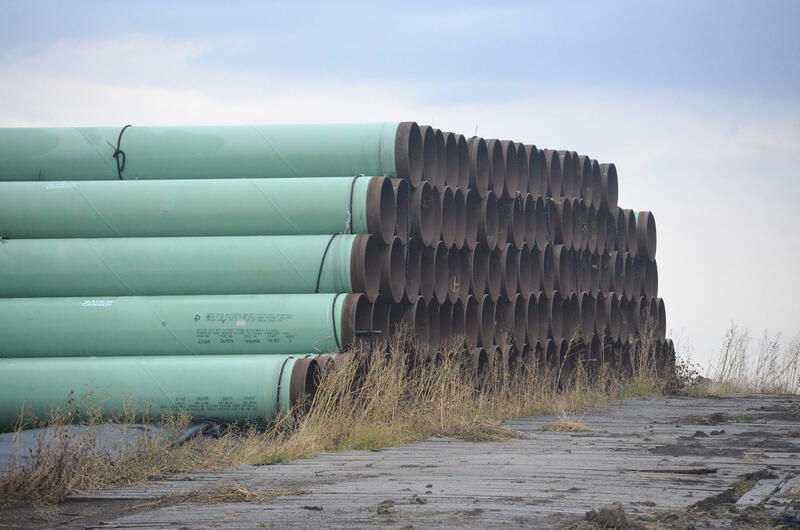 Segments of the Dakota Access Pipeline await burial in western North Dakota in the fall of 2016. Battles over oil pipelines and oil trains usually focus on the risks of accidents and spills, but a new study finds that air pollution and greenhouse gas emissions from oil transportation take a greater financial toll. Air pollution from oil transportation doesn’t get a lot of attention because it’s not terribly visible, said Karen Clay of Carnegie Mellon University, one of the paper’s authors. Researchers from CMU and the University of Pittsburgh partnered on the study published last month through the National Bureau of Economic Research. “Our suspicion was the things that happen every day that are low-level risk -- which is what air pollution is -- doesn't seem as important when you see pictures of a huge pipeline spill or see pictures of a rail car on fire,” she said. But this study paints a different picture. The researchers looked at 2014 data from oil transported out of North Dakota. They found that the costs associated with issues like health problems or reduced crop yields from train emissions are twice as high as the financial toll of a spill or accident. For a pipeline, emissions costs are eight times greater than spill costs. While pipelines themselves are not big emitters, the researchers looked at pollution and emissions associated with generating the electricity it takes to pump oil through the lines. A side-by-side comparison of rail versus pipeline transportation found that rail is the worst offender. Health and environmental costs from emissions linked to rail traffic are double those of pipelines, according to the study.